How Much Is Katy Perry's Net Worth? How Rich Is Katy Perry? You know that feeling when you stare at your bank account and you're just like womp-womp-womp. Yeah, Katy Perry never has that. Thanks to an extremely impressive music career and a ton of endorsements, the 33-year-old pop star is raking in cash faster than you can say "swish, swish, bish." Let's get the breakdown, shall we? Okay, time to acknowledge the elephant in the room: Katy Perry's newest album Witness flopped. She knows it, we know it, everyone knows it. But her overall album sales are massive. Per the Recording Industry Association of America, Katy's earned $98 million (P5.2 billion) in digital singles (earning the #4 spot after Rihanna, Taylor Swift, and Eminem). Plus, she's had at least six of her singles make $5 million (P266 million) EACH, including "Firework," "California Gurls," and "Roar." Okay, again: The Witness tour ... not exactly impressive. But Katy's Prismatic World Tour grossed more than $204.3 million (P10.9 billion) (HOLY CRAP), her California Dreams tour grossed $48.9 million (P2.6 billion) (ALSO GOOD), and her Hello Katy tour earned $1.3 million (P69 million)—which sounds small, but keep in mind she was a brand new artist! FYI, Katy gets a nice cut from selling all that tour merch. Back in 2015, Forbes reported that "she's averaged a staggering $20 (P1,000) per head per night in merchandise sales." Damn. 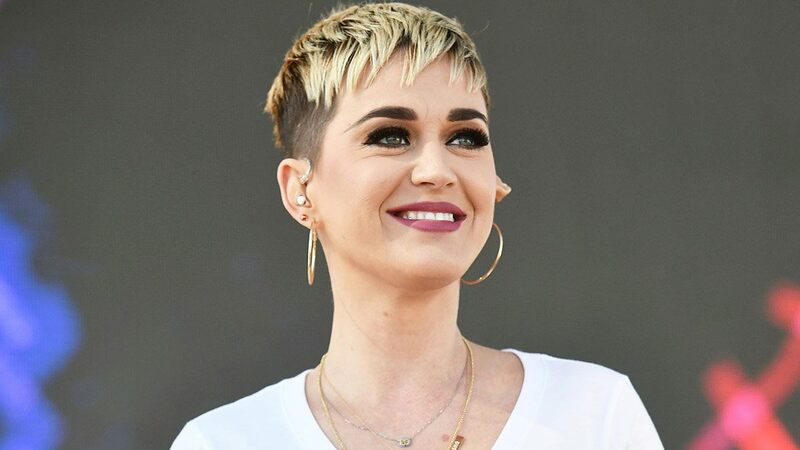 Katy Perry has had brand relationships with a gazillion companies who are all presumably paying her through the roof (though, as ya know, the actual numbers are kept pretty private), including H&M, CoverGirl, and Proactive. She also has her own line of perfumes. What, you don't? Katy owns (and flips!) a ton of real estate. In 2017, she dropped $19 million (P1 billion) on a Beverly Hills home. That same year, she put one of her two Hollywood Hills homes up for sale for $9.5 million (P506 million). More recently, she tried to buy a convent for $15 million (P800 million) and went to court with a buncha nuns. It's, um, a long story, and Katy ended up earning $5 million (P266 million) in damages. Prepare for your jaw to drop because Katy Perry is earning a reported $25 million (P1.3 billion) for her hosting gig on American Idol. Her high paycheck caused some side-eyes from other judges Lionel Richie and Luke Bryan, who are apparently earning way less. Sorry boys! So, What's Katy Perry's Total Net Worth? According to Celebrity Net Worth, a staggering $295 million (P15.7 billion). Forbes has her ranked #95 on their list of 2017's wealthiest celebs, thanks to her $33 million (P1.7 billion) earnings that year alone. WELP! Brb, gonna go cry at my bank account.